"Go home or face arrest"... Ever wondered what's on the other side of that van? 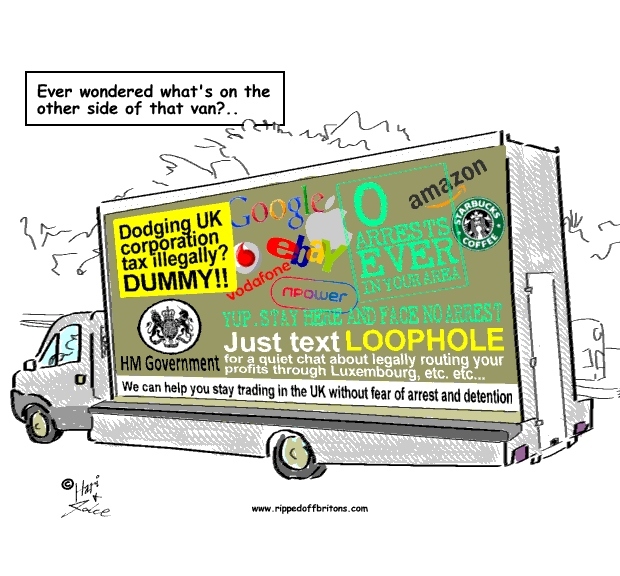 Critics say the Home Office campaign targeting illegal immigrants will generate hostility and intolerance.The "Go home" van scheme, which was trialled for one week, has been widely criticised by religious groups, trade unions and politicians across the political spectrum. The business secretary, Vince Cable, labelled it an offensive stunt and the Ukip leader, Nigel Farage, described the tone as "nasty, unpleasant, Big Brother". Earlier this week the campaign group Liberty drove a van round the same six boroughs with a billboard on the side reading: "Stirring up tension and division in the UK illegally? Home Office think again."